Anxiety doesn’t only affect the person who has it, but everyone who interacts with him or her – and in a relationship, its effects can be even more damaging and profound, no matter how supportive the partner. 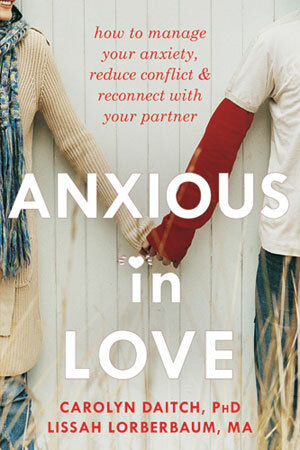 “Anxious in Love” is a relationship guide for partners who have an anxiety disorder that offers readers proven skills for calming their anxieties and communicating with their partners. First, readers learn to self-soothe when their anxiety is triggered so that they can calm and center themselves when faced with their worries and fears. Second, readers learn to understand their anxiety from their partner’s perspective and develop new skills for handling anxiety-related conflicts that may arise. This is especially helpful for readers whose anxiety is triggered by disagreements. Lastly, readers practice self-sufficiency and work on not relying on their partners in order to maintain a healthy relationship.